Crested Butte, Colorado, is a popular destination for skiers and snowboarders, but it also offers many other things to see and do year-round. Best things to do in Crested Butte, CO with kids include the Trailhead Children's Museum, the Crested Butte Mountain Heritage Museum, and Meridian Lake where you can swim and hike in the summer. 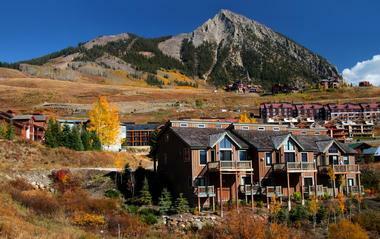 Located at 12 Snowmass Road on Mount Crested Butte, Crested Butte Mountain Resort offers year round fun and activities. The resort opened in 1960 as a small ski resort and has grown over the years to become a famous adventure resort and one of the best things to do in Crested Butte, Colorado. During the summer, visitors can do many activities such as fishing, hiking, horseback riding, lift rides during the day and at twilight, and zip lining. The resort offers several summer camp programs like Camp CB, Mountain Adventures, and Mountain Sports Bike Team. Live! from Mt. CB Summer Concert Series presents musical performances at the Red Lady Stage at the foot of Mt. Crested Butte. 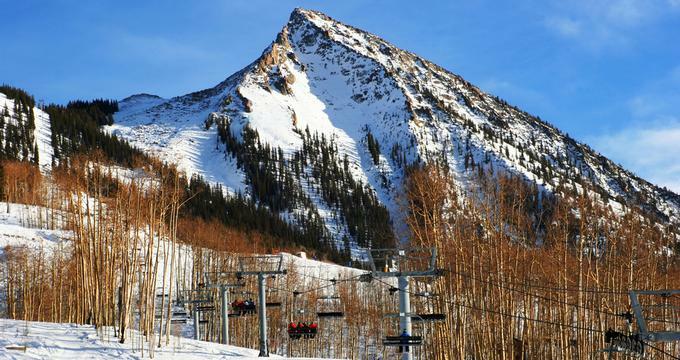 Crested Butte Mountain Resort offers exciting wintertime activities. There are skiing and snowboarding areas for every level of ability, and the advanced level North Face and Headwall has made the area rather famous. Other forms of skiing available at the resort include cross-country skiing, uphill skiing, and free guided mountain ski tours. There are several other wintertime activities such as snow biking, snowmobiling, and horseback riding. The Crested Butte Mountain Heritage Museum explains how the town transformed from an 1880s wild west town into a popular ski town. Crested Butte Center for the Arts hosts art exhibits and offers classes, concerts, dance performances, and film screenings. 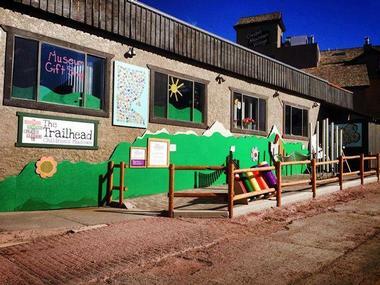 The Trailhead Children’s Museum was founded in 2007 and offers children’s art and science programs. The museum is located on Emmons Road and includes exhibits such as Astro Corner, the Block Yard, Garden to Grocery, the Lego Grand Prix, and many more. The museum also offers programs like after school art classes and school break camps. The Art and Science Camp is a day camp that focuses on everything art-related, including famous artists and exploring working with clay, while science topics include the human body and light and electricity. Advanced Art is for older children; they learn arts such as book making, etching, jewelry making, and creating tempered glass mosaics. Django's Restaurant & Wine Bar is a modern restaurant in the Mountaineer Square Courtyard situated mere steps from the ski slopes. The elegantly decorated dining room fits just 50 people, making it friendly and intimate. Django’s serves small plates clearly inspired by South European flavors. There are no small plates or main dishes, just tapas – imaginative, rich and very fresh. The world-class wine list features many nice selections. The outdoor tables on the Square are extremely popular during warmer months, especially when musicians are providing entertainment. Located on Elk Avenue, the Crested Butte Mountain Heritage Museum is housed in Tony’s Conoco, a favorite local hangout in Crested Butte. This historic building was a blacksmith shop in 1883, and it later became a garage and hardware store. 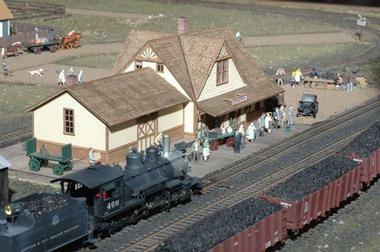 Today, the museum’s goal is to preserve and exhibit Gunnison Valley’s unique cultural history. The museum is devoted to showcasing local history with exhibits such as The History of Skiing in the Butte, Mountain Biking in Crested Butte, Home Life in Crested Butte, and many more. The Betty Spehar Children’s Exhibit is an interactive exhibit where children can sit in the museum’s vintage desks and color old advertisements and make comics. Montanya Distillers in Crested Butte makes two very good rums: Platino Light Rum and Oro Dark Rum. Distillery owner Karen Hoskin has a very strong sense of environmental responsibility, and she makes sure that her company’s ecological footprint is as small as possible. All ingredients are American: Colorado mountain water and honey, local yeast, and sugar cane from Louisiana. The ingredients simply couldn’t be from anywhere closer. The result is an excellent rum that has won numerous awards and is now available in 34 US states and all over the world. You can visit the distillery and their tasting room, which is a fun place that serves some unique rum cocktails and snacks. There is also live music once a week. Meridian Lake, located close to Crested Butte, is a popular summer and fall destination for several reasons. Also known as Long Lake, this free attraction offers visitors the chance to engage in fun activities like swimming and hiking. There are two trails along the natural lake, one of them easy and the other more strenuous. The easier trail is 2.4 miles long and takes between one and two hours to complete round trip. The strenuous trail is just half a mile long, but it takes the same amount of time to complete a round trip. 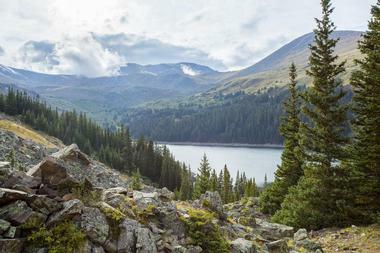 Both trails showcase the beauty of the aspen trees and wildflowers and lead to spots where you can swim in the lake. Located on Second Street, Crested Butte Nordic is a non-profit organization founded in 1987 to educate people about Nordic skiing and snowshoeing. 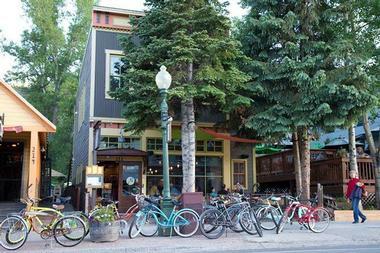 Its well-maintained trails are located close to the lodgings and restaurants of Crested Butte. 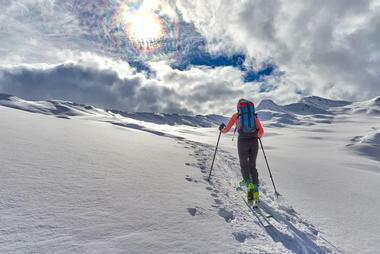 Crested Butte Nordic offers clinics, private lessons, rental packages, and tours such as backcountry snowshoe tours and cross country ski tours. The Magic Meadows Yurt Dinner Experience is a guided tour that includes equipment rentals, a guide, live music, and a five-course dinner with alcoholic and non-alcoholic beverages. Crested Butte Nordic also provides a variety of programs like the Gunnison Valley Kids Nordic Race Series and events such as the Gothic Mountain Tour.